Looking down on the luge run. 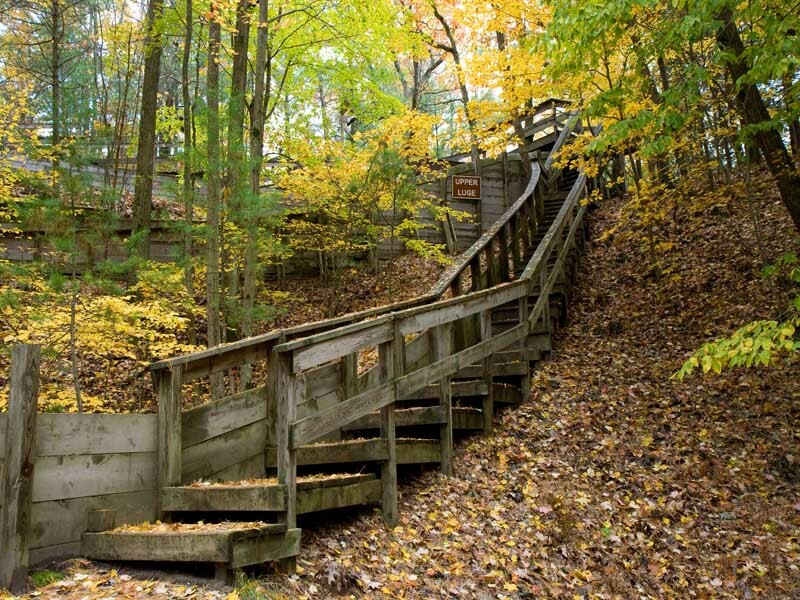 Muskegon State Park is located four miles west of North Muskegon on the shore of Lake Michigan. 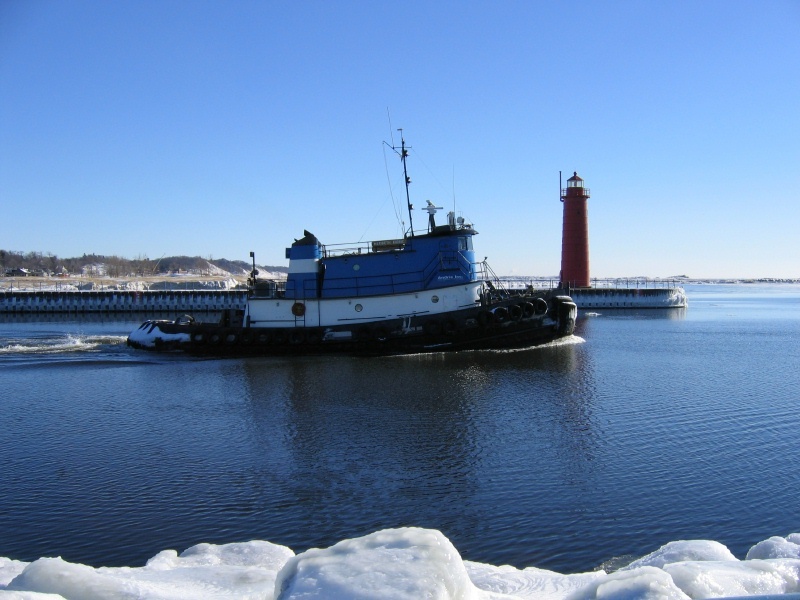 There are over two miles of shoreline on Lake Michigan and over a mile on Muskegon Lake. The vast expanse of Great Lakes sand beach ranks among the most beautiful in the world. 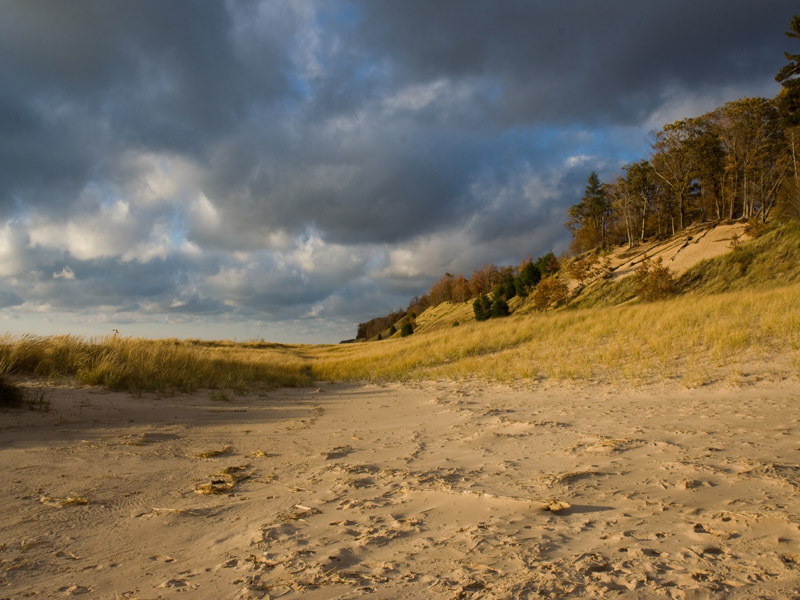 Forested dunes that join miles of Great Lakes shoreline reflect a significant resource that visitors enjoy each year. Muskegon State Park was established in 1923. The City of Muskegon gave the Conservation Department (later the Department of Natural Resources) a gift of land to help begin the park. The park has enjoyed much community support over the years and remains an important contributor to local quality of life. Muskegon State Park was established in 1923. The City of Muskegon gave the Conservation Department (later the Department of Natural Resources) a gift of land to help begin the park. The park has enjoyed much community support over the years and remains an important contributor to local quality of life. For those without a boat, an accessible fishing pier is available along the channel walkway. An additional fishing pier is available at Snug Harbor. 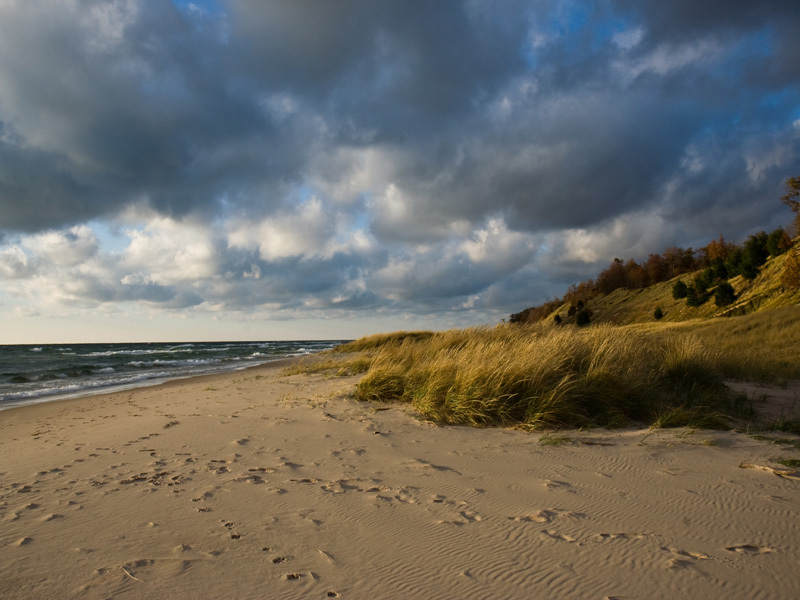 For day users, the Lake Michigan beach is great for sun bathing and swimming. A bathhouse is located in the beach area. The Snug Harbor picnic area is located on Muskegon Lake. 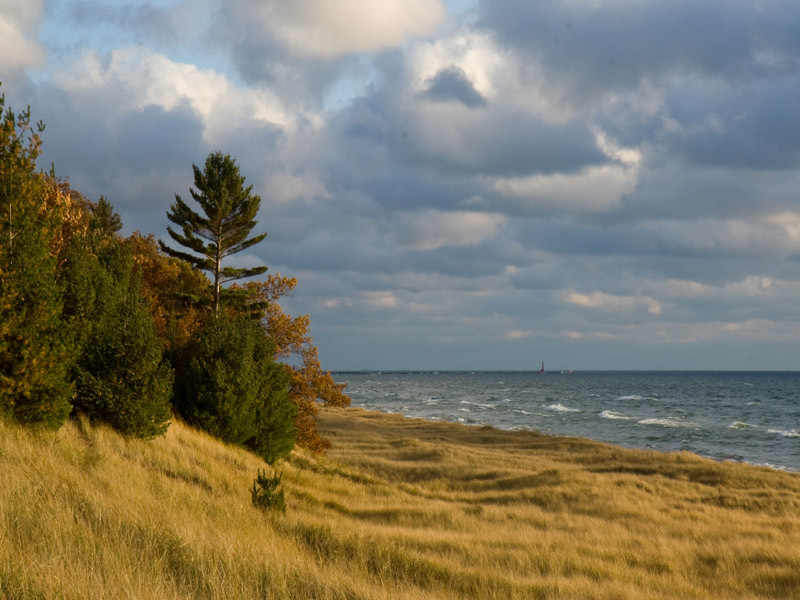 The Blockhouse Overlook provides a scenic view of Lake Michigan and the dunes. 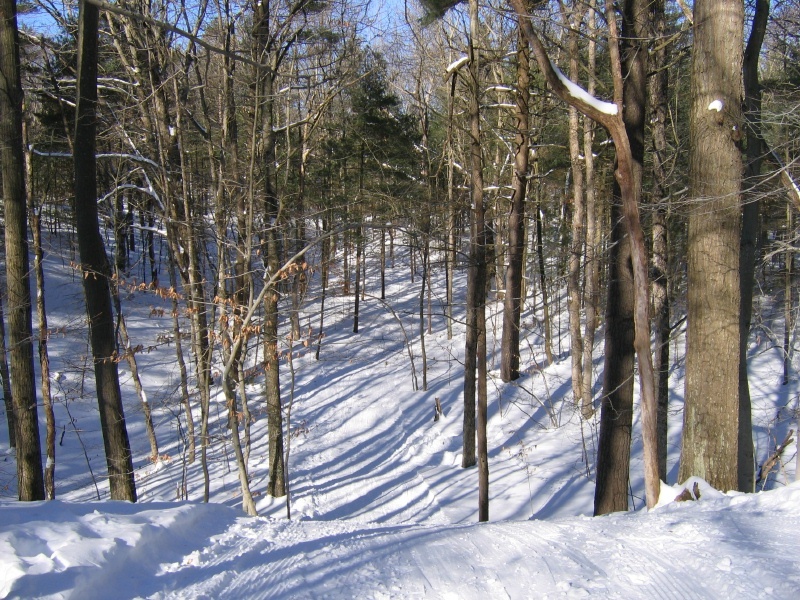 Twelve Miles of marked hiking trails, with five miles lighted for cross country skiing, can be found in the park. 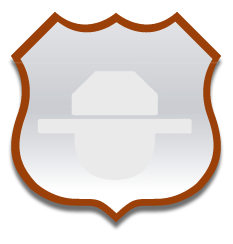 The trails are a diverse series of loops that meander through a variety of landscapes, from flat land to bog; from low land to the top of scenic sand dunes. 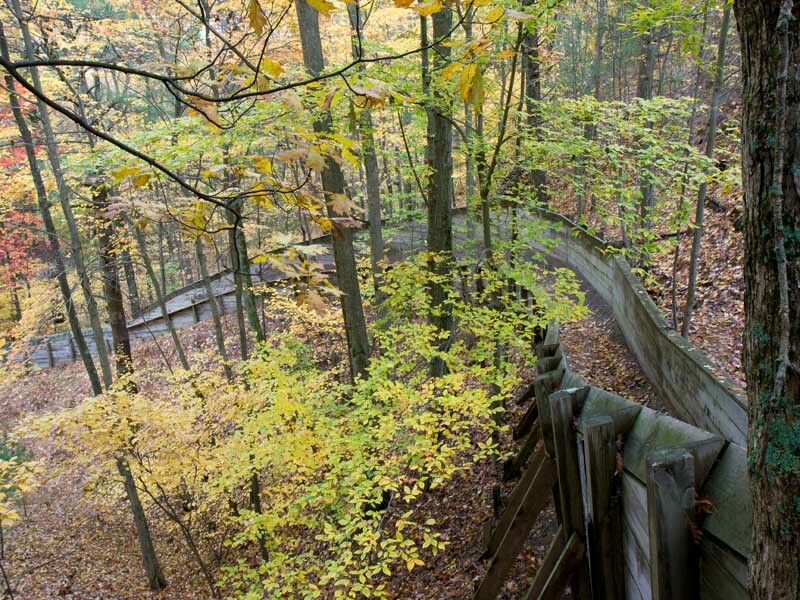 Twelve miles of marked hiking trails can be found in the park. The trails are a diverse series of loops that meander through a variety of landscapes, from flatland to bog; from lowland to the top of scenic sand dunes. 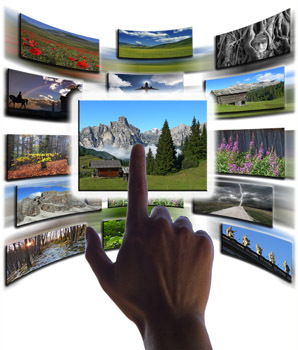 A variety of attractions are located near the park, such as: Michigan Adventure amusement park, Gillette Nature Center at Hoffmaster State Park, Muskegon County Museum, Muskegon Museum of Art, and the USS Silversides - a World War II submarine open for tours. Every year we went to a State Park (Wilderness, Ludington, etc., but Muskegon State Park is wonderful for family camping. The icecream shop is within a bike ride and worth the visit! My parents started taking their children there before I was born. It turned into an every year event for two weeks at a time. Me and my husband continued the tradition and have never missed a year. My three children enjoy going and my siblings have rejoined over the years. A very nice way to slow down, reconnect, and enjoy the little things. My Family went there it has great swim area, michigan Adventures is right down the road. You can sit and watch the boats. Take US- 31 to the M-120 exit in North Muskegon and follow the signs to the park.